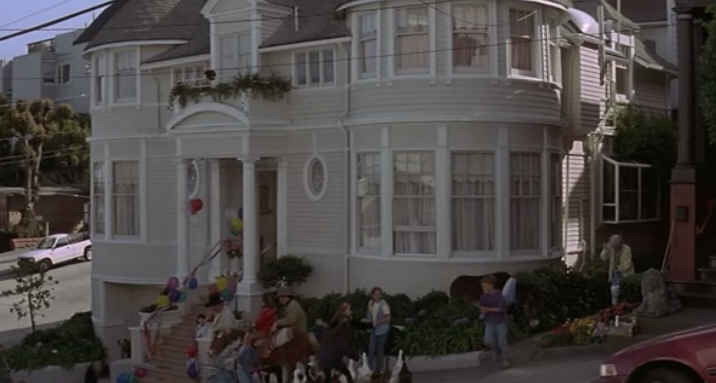 The Classic San Francisco Victorian from "Mrs. Doubtfire"
Sally Field’s character Miranda gives the real address in the movie as 2640 Steiner Street. The interior scenes were filmed in a Bay area warehouse that they used as a soundstage. 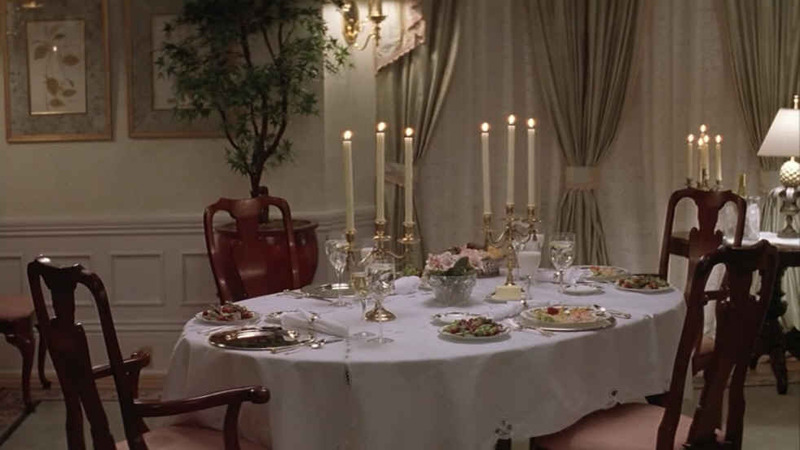 The Set Decorator was Garrett Lewis. They were ahead of their time with the stainless-steel appliances, though. The movie won an Oscar for Best Makeup. 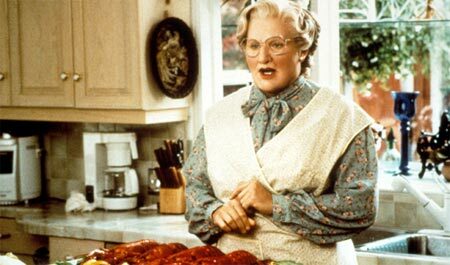 It took over 4 hours to turn Robin Williams into a woman each day. Even though the house was decorated in the early ’90s, it really isn’t as outdated as you’d expect it to be after nearly 20 years. You can tell they were going for a classic, timeless look–nothing too trendy. They originally planned to film the movie in Chicago. 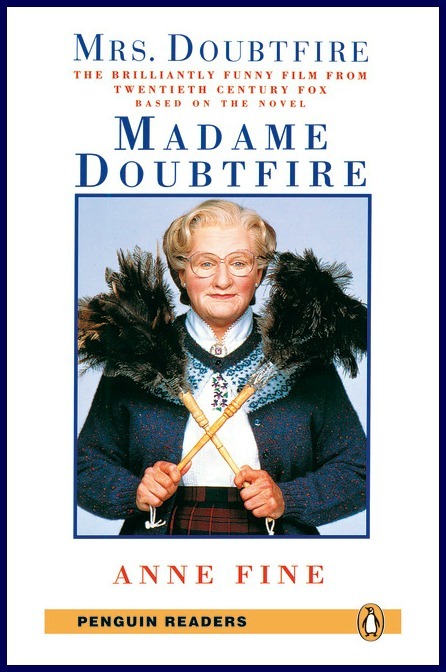 Bonnie Hunt wrote a sequel in 2003, but Robin Williams didn’t want to make it. It would’ve been about Daniel following his daughter to college to keep a close eye on her. 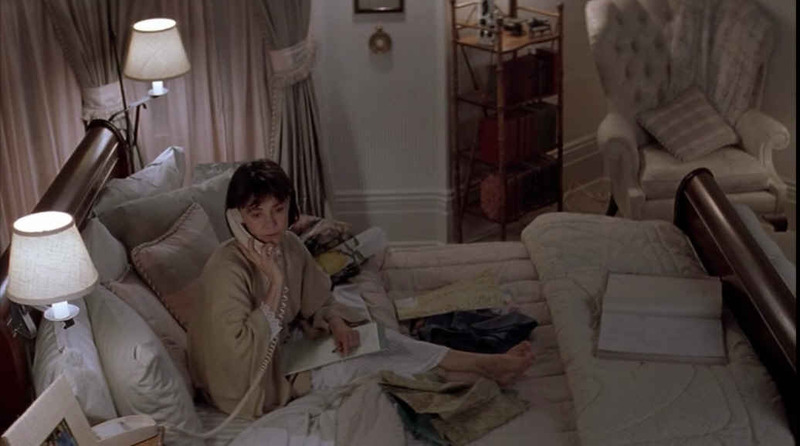 Miranda (Sally Field) is a decorator, so it makes sense that her house would be so, well, decorated. The street signs in the movie marked the location: the corner of Broadway and Steiner. The movie was directed by Chris Columbus, who has given us some good “house movies” over the years, including Stepmom and Home Alone. In 2015, an arsonist set two blazes outside the “Mrs. Doubtfire” house. Fortunately, the homeowner was able to put both of them out before too much damage was done. The “Mrs. 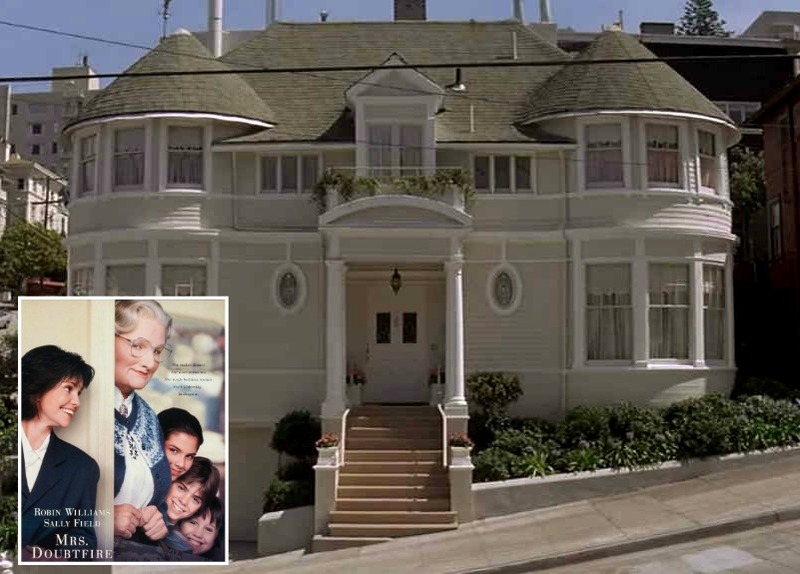 Doubtfire” house just went on the market for $4.45 million! This is so FUN! You know how much I love seeing the movie houses you find for us. This is definitely a special post! I had no idea that Bonnie Hunt had written a follow up script. You are probably right, it is best to let this one stand on its own. It was funny. A move and a home not many will forget!! Thanks so much for sharing Julia!! I can remember watching this when I was 5 years old, a couple of years after the film was released, and I love the house even then! San Fran seems to have amazing homes. I really liked that movie, and the house is really nice. Wonder what the inside really looks like. I liked the way the exterior was painted better in the movie… It looked larger and more grand. I think the new paint colors make it looks small and ordinary, although it is now actually a painted lady with three different paint colors. Just the view from that house is worth a million dollars. I envy those lucky owners! I was so excited to hear that you were featuring the “Mrs Doubtfire” house today. 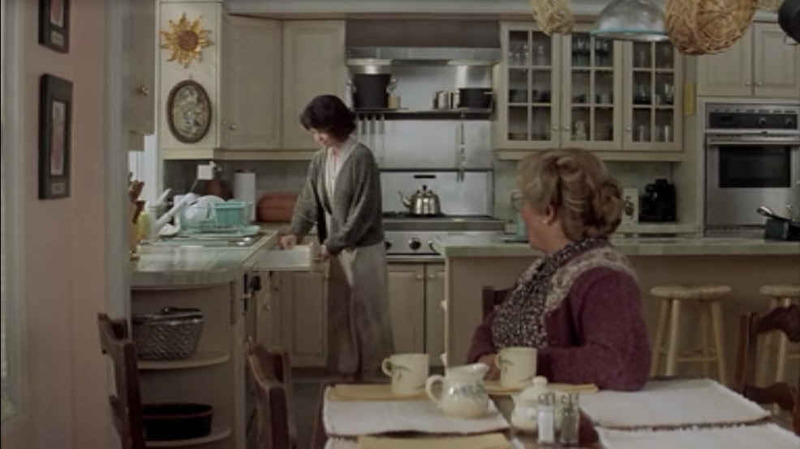 I love this movie and one of the last times I saw it, I paused it so I could look at the interiors and exterior. 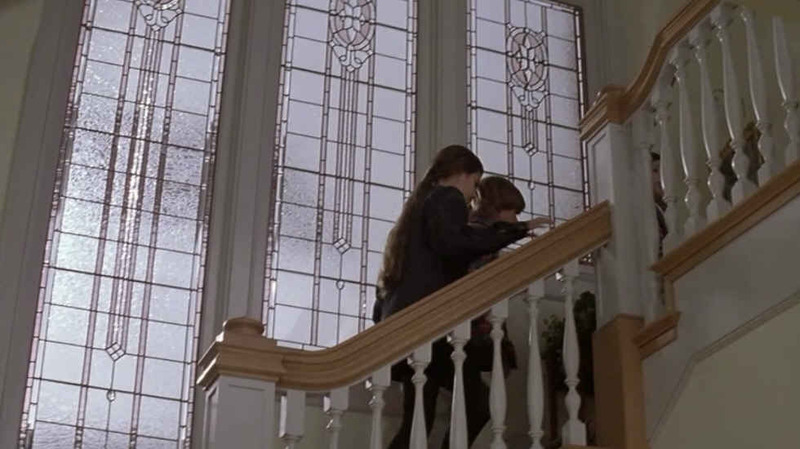 That staircase and exterior are breathtaking. I love how the interiors wouldn’t need much updating. I don’t like the exterior colors of the house today. The colors of the one in the movie made the house feel more grand. I wish we could see the real interior. It would be interesting to see how it compares to the sets of the movie. What a beautiful home! Too bad the overhead electrical wiring hasn’t been put underground. Very expensive to do, but it sure changes the view! Thanks for the memories! Love this house, even after 20 years! Thank you, Julia!!! These houses are glorious! I do think though that the interior (set) is a little too cluttered for my taste. 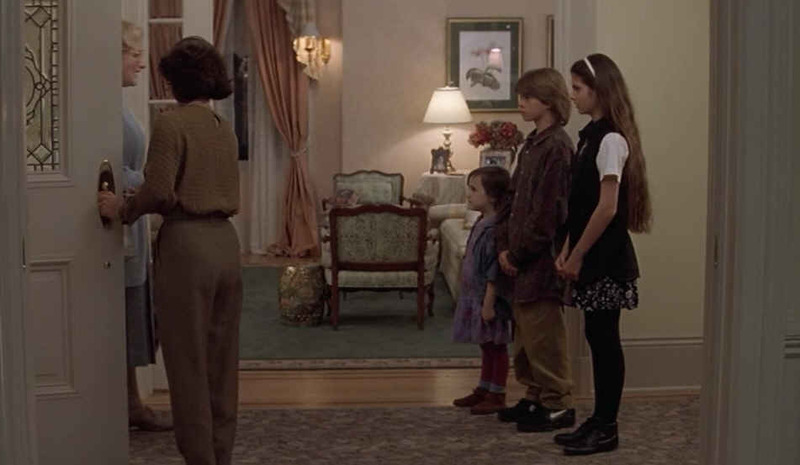 Loved the movie and always really loved the house – I can’t believe it’s been nearly 20 years! Amazing how it’s stood the test of time! SO excited! I love this movie and this house. 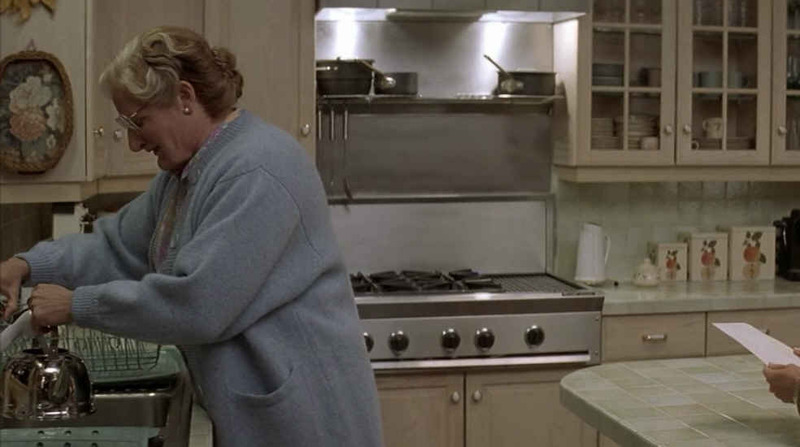 I remember watching and thinking Sally Field’s character had it all–great job, lovely home. I always get sad when people get divorced. I don’t think it’s so terribly dated. Everything’s pretty simple, change a few fabrics and you’re right in the new millenium. Feels like home- Thanks for a great post. 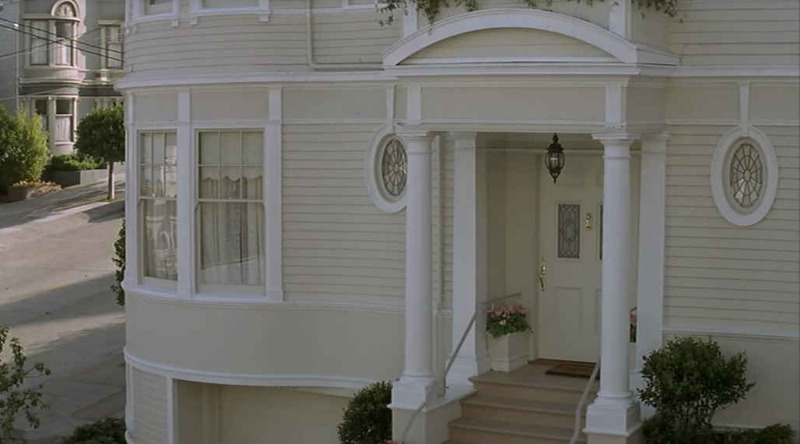 You can’t beat the charm of a San Francisco house, even if the interiors were shot someplace else. I love this house! It’s a dream of mine to have a old Victorian in San Francisco. It’s one of my favourite cities. I didn’t like the movie much though. I always found it really sad that a man could be kept from seeing his kids like that. I just found it hard to see the humour in the story. Hi Julia, Love all your movie and t-v choices. 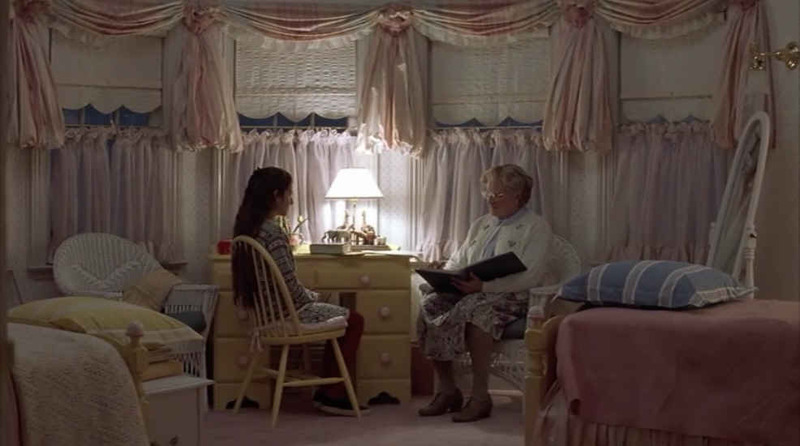 Have you ever considered the houses from Providence and Educating Amy? Both shows aired in the 90’s ,I believe. Also, Stephen St. Onge on his Designing Dad blog has featured the beautiful apartment on The Good Wife and more photos from Parenthood.Just thought I’d mention these from one looki-loo to another! You know, I’ve never seen Providence or Educating Amy. Gotten lots of requests for those houses, though! I find it interesting the house is only 2,578 square feet. This is by no means small but the shots from the movie always made it look a bit more grand in my opinion. Even in that recent shot it looks smaller than the movie shots. Oh the magic of Hollywood! I thought the same thing, Jared! Looks bigger than that in the movie. This house makes me miss visiting San Francisco!! Thanks for the reminder! As for the movie, it has some very funny scenes, but, overall, makes me sad every time I watch it. Interesting that there are tour guides telling people that! Beautiful house! Loved it and the movie. It looks like the house has yet a new paint color – cream/white/gray which is my favorite of the three — you can do a street view of the house via G maps (2640 Steiner Street San Francisco). Also, though it’s hard to see with the new street trees, the original front door is back on the house. The movie door isn’t Victorian. Oh and FYI those aren’t all power lines overhead — some are for the electric trollies (streetcars). 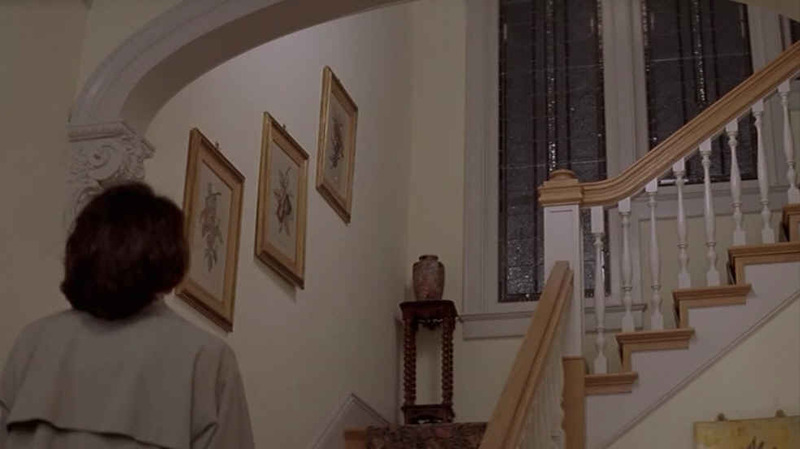 I have no idea if they shot inside the house but I’ve seen it done in SF, but that banister certainly isn’t the right color to be original finish. I wonder if they ended up shooting in SF because Robin Williams is local? Hummm! Very interesting! Thanks for that link. Absolutely LOVE this post, movie, and house! 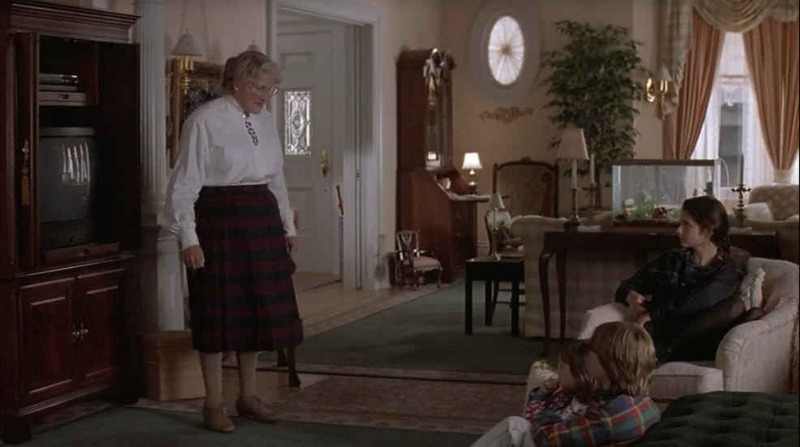 I know every line of Mrs. Doubtfire by heart, I even went as her…him…shim for Halloween when I was little. So much fun! This movie is fantastic, of course I loved the makeup transformation scenes the most! The house is absolutely gorgeous and I completely agree, it’s classic and it has really stood the test of time as far as decor goes. 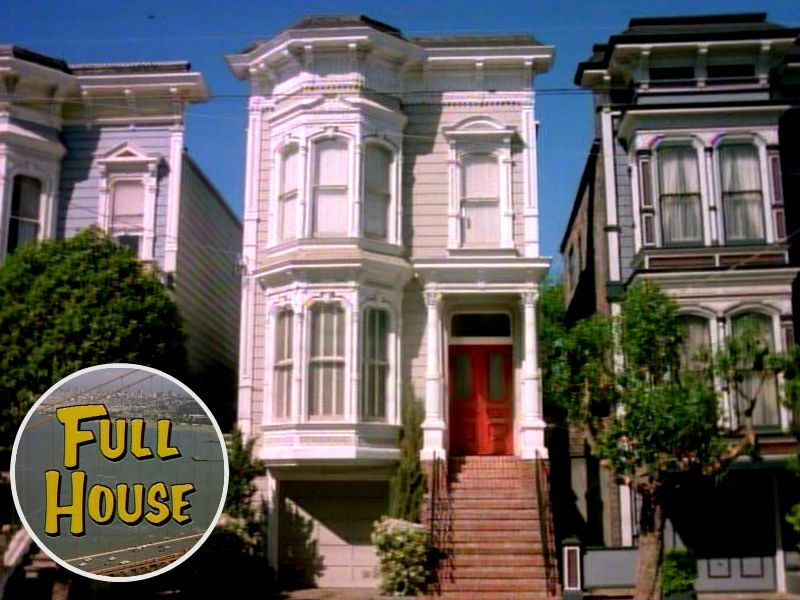 I would love to visit San Fran and see this house! Awesome post, Julia! It is pretty outdated but definitely has good bones. I really do think that if you go for the classic look, it will last for a long time. Makes me wonder about all the homes that have soooooo much granite everywhere, and paid a nice price for it. What will it look like in just 10 years? I love that house. My husband and I went on vacation in SF in 2007 and I wouldn’t leave until I found that house and took a picture in front of it. It was still an off white back then and some trees in the planters were overgrown and covering much of the lower part of the house. Still a very beautiful house. 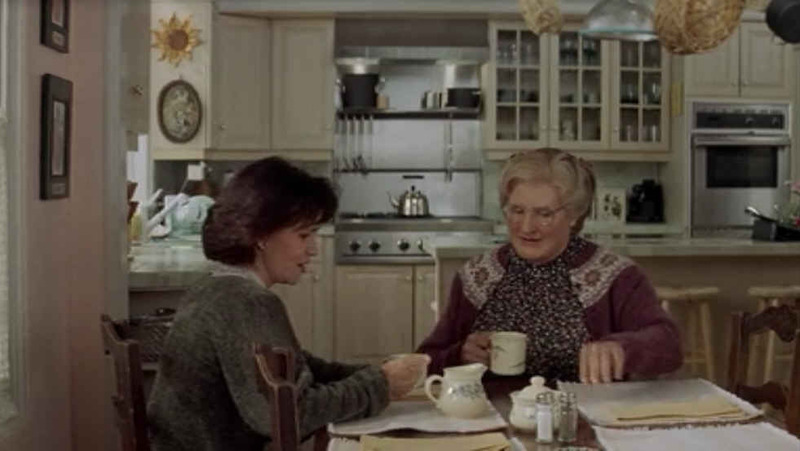 I’m not a shameless promoter of my own blog… but just last month I wrote a blog post about Mrs. Doubtfire. One of my FAVE movies! Thanks for sharing information about their house! Awesome. I love this house!! 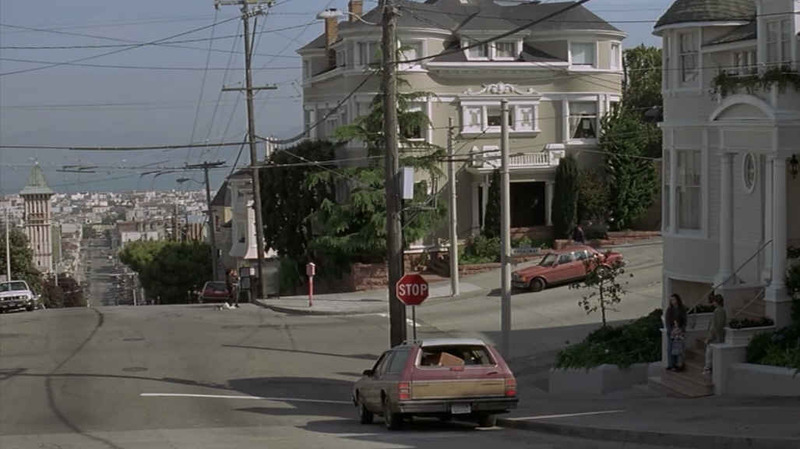 It was also used in the thrilling movie “Pacific Heights”. Loved that movie too! 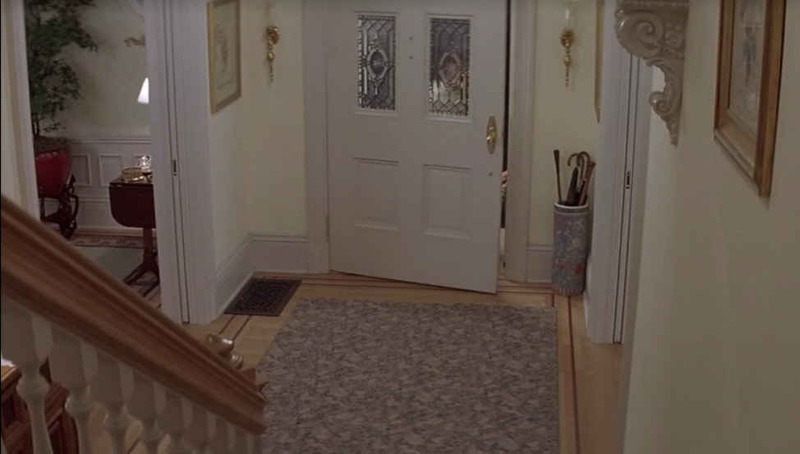 So sad when I saw how sinister Michael Keaton wrecked the house! My friend used to live just across the street in the large house seen in the photo with the bay in the background for years. The view from that house is amazing! Beautiful corner bay windows -with curved glass double-hung windows hanging out towards the bay-perfect views of the Golden Gate Bridge, Alcatraz, Palace of Fine Arts. 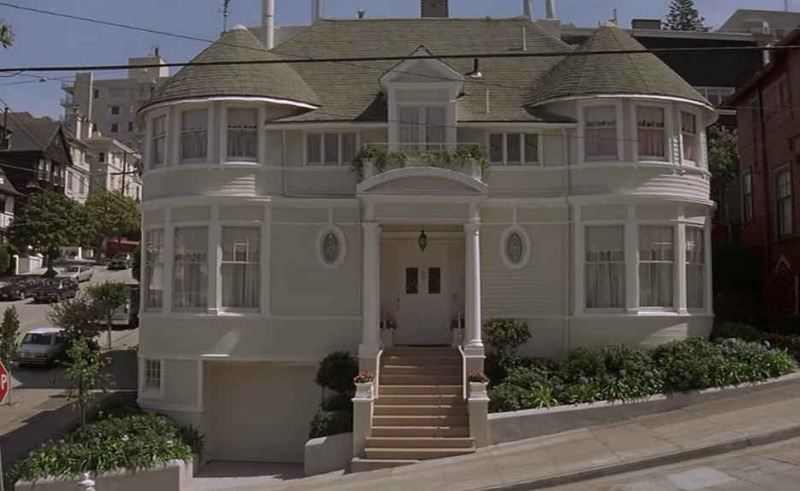 Its a great, tony neighborhood with tons of spectacular houses and I especially love the scale of the house in the movie. Just discovered this site- there goes my life haha, I am house obsessed (I’m an architectural designer) so will no doubt be spending way too much time here now. I watched this movie being filmed, or at least a few scenes and Robin was very nice and cordial and allowed an assistant to snap a great picture of use on Steiner Street that was on the wall at a Deli in Philly where I grew up from 1994-2005. I was working for a Petv Supply/Grooming shop on Mission street and had to deliver two white Standard Poodles to your typical, snooty and CHEAP Pacific Heights people. After delivering the dogs to the owners I drove down the street and noticed the filming crew so I pulled over. I saw the animal farm scene and two other scenes being filmed. 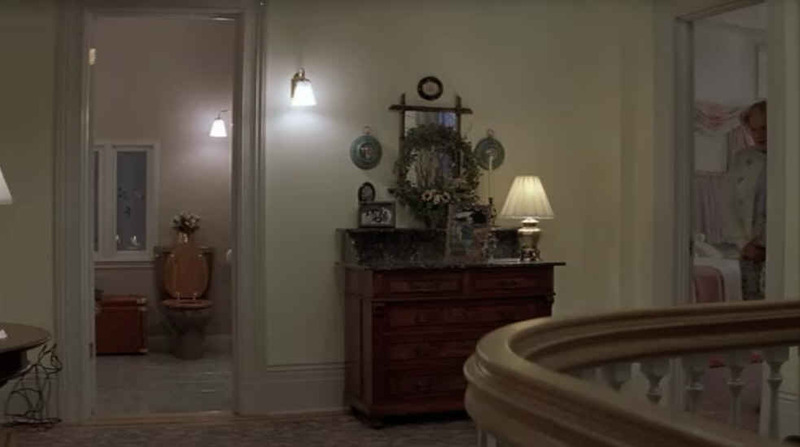 As an Interior designer, I love movies where the house is a cast member. Ive seen this house on my last visit to SF. Beautiful interiors, make for a beautiful movie. I have many in my collection. Nothing beats classic, traditional interiors.